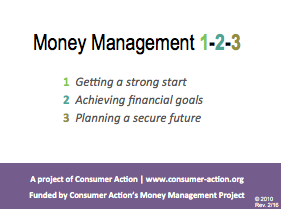 This backgrounder guide is part of our “Money Management 1-2-3” financial empowerment educational and training module. The module also contains three multilingual brochures and a lesson plan with PowerPoint training slides. 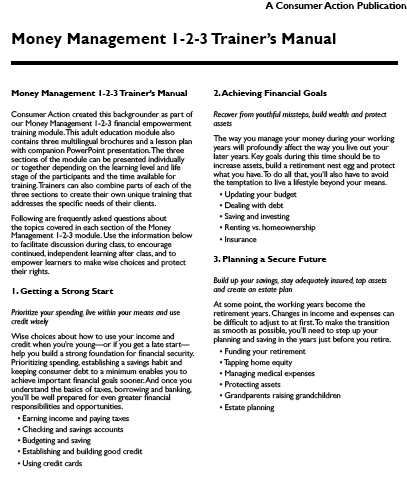 The Money Management 1-2-3 PowerPoint training file is available for download in the “Download File” section. This PDF packet provides guidance for teachers and team leaders. 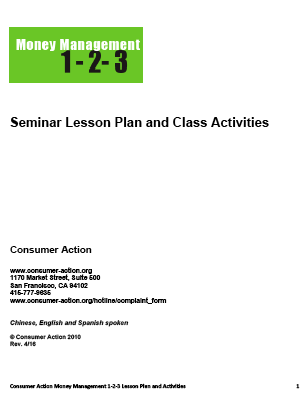 The 27-page packet contains a detailed curriculum, classroom activities and take home worksheets. 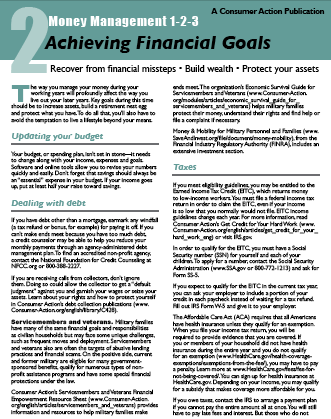 This publication provides detailed information on banks, credit unions, checking and savings accounts, Electronic Transfer Accounts (ETAs), debit cards, bank fees, Internet and mobile banking, lower-risk investments, secured credit cards and more. The Saving to Build Wealth Powerpoint training file is available for download in the “Download File” section. 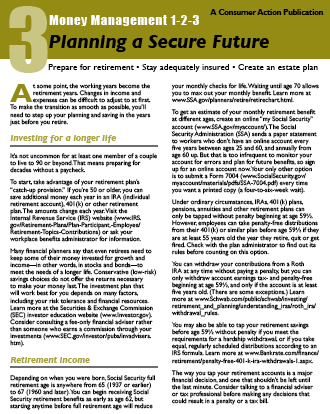 This 20-page guide, written in question-and-answer format, is designed to provide background information on how to build savings. The topics include savings accounts, individual development accounts (IDAs), money market deposit accounts, certificates of deposit (CDs), U.S. Treasury investments, retirement and education savings accounts and how to figure your net worth. A section on Internet resources is also included. Only available in English.